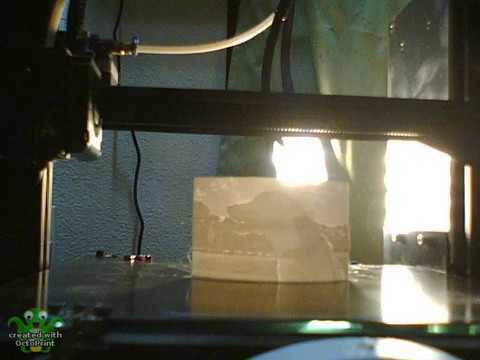 Does anyone here have a Custom Cura 3.5.1 Profile for Lithophane Creation that they would be willing to share? I'm a first time 3D User and am needing help getting my Lithophanes looking great. Did you ever find a solution, new here, but I was able to print one (small one) with the help of Makers Muse video. I bought Simplify 3D slicer though. I am sure the settings may be transferable. I ended up using a Simplify3D slicing profile that I modified from Teacher Tech from YouTube. With the Infill set to 80%. and a 3mm thickness. Works pretty great with a 120 degree outside curvature and a Negative Image.